Remember to Vote in Your City Elections! Ideas have consequences and the same is true for elections. Elections have consequences because elected officials decide how to spend your hard-earned income collected through taxation. Local governments set their property tax rates and cities are the largest or second largest consumers of property tax dollars for most Iowans. It is important for taxpayers to keep a watchful eye on their elected officials to make sure property tax dollars are being spent in a responsible fashion. On Tuesday, November 7, 2017, voters across Iowa will be voting in city elections. Iowans for Tax Relief encourages you to study the issues and candidates, ask the tough questions, and support the best candidate who will protect your interests as a taxpayer. Property taxes are used to fund a majority of local government services and are one of the most despised taxes because it directly taxes personal property. It doesn’t matter if the tax is collected by a bank along with a mortgage payment, paid online, or from a person’s checkbook, property taxes serve as a reminder why local elections matter. Local elections tend to have low voter participation, which is unfortunate because of the many important decisions that local governments make on behalf of their constituents. One of the most significant is spending your tax dollars wisely. 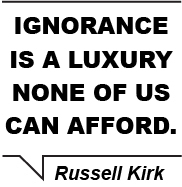 Political philosopher Russell Kirk argued, “Ignorance is a luxury none of us can afford.” Because ideas and elections have consequences, it is our responsibility as citizens to not only be informed about the issues and candidates but also exercise our most important political right, voting. In the end, civic ignorance is a dangerous luxury none of us can afford. 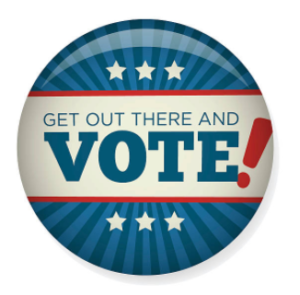 Get out there and VOTE!